This past Saturday was #EURO17. It is our annual European Car Show hosted with dubNation Events to raise some money for our friends at Rancho San Antonio. 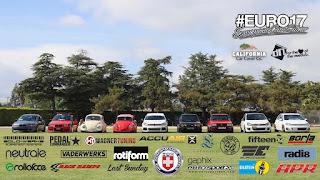 This year was another huge success with some amazing cars, great sponsors and a record raffle collection for RSA. Thank you to everyone who supported and attended our 6th annual event. The main show field was filled with plenty of late model European cars early in the morning. Our friends at Borla were a sponsor this year and brought out some cool cars to feature in their booth. They were also able to take some photos at the show too. fifteen52 was back again as a sponsor in 2017. Besides bringing out a variety of custom cars, they donated an RC Car for our charity auction which was a hit with our attendees. The lineup from our friends at Euro Code Tuning. One of the Top 10 Award Winners at #EURO17. It wasn't just all late model cars at #EURO17. 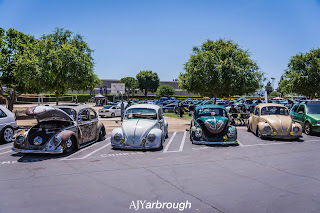 A few guys from the Busted Knuckle Garage OC rolled out some classic VWs. 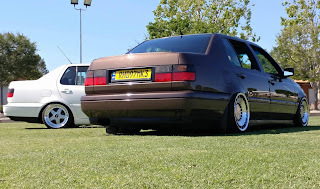 Thank you to Gino at Vaderwerks for rolling out his custom Jetta to the show, plus being the supplier of the official #EURO17 event decals. The Because Bags display at EURO17 attracted some attention all day. A view from the north end of the field. Another one of the Top 10 Award winning cars. The venue, Rancho San Antonio, provides plenty of shade and grass parking for attendees. Bernie rolled out his Front Runners rooftop camping display atop his VW. California Car Cover got into the action by displaying a vehicle from its archives. This Porsche 911 Junior has been in the company's collection since the mid 1980s. 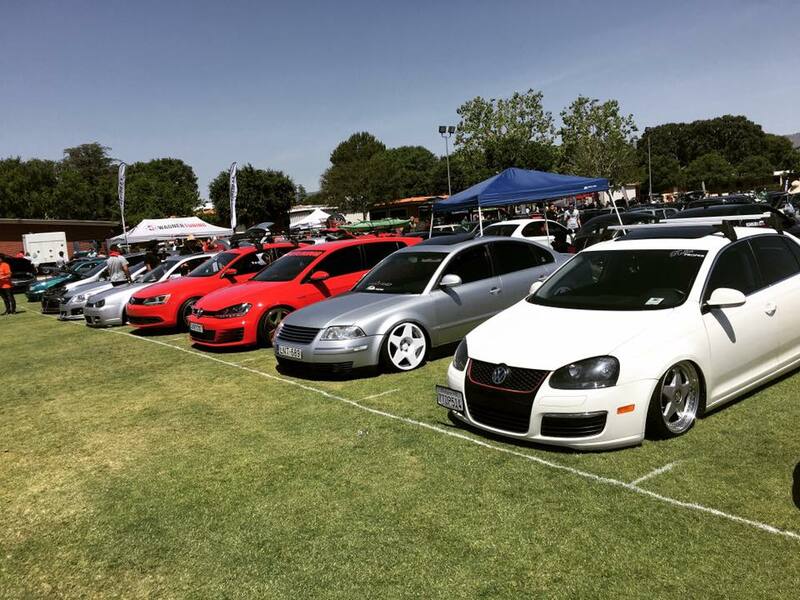 Henry and the team at Wagner Tuning brought out a few customer's cars to showcase what Wagner's performance upgrades can do for your car. 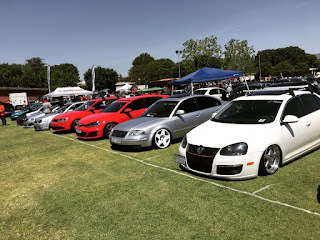 Rotiform was back again in 2017 as an event sponsor. 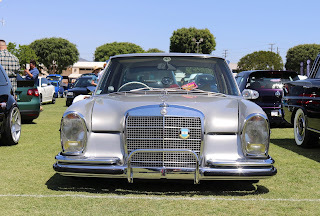 They brought out some great cars and we were thrilled for them to display this year. Our friends at Pedal Commander were a new sponsor this year and donated some amazing prizes to our charity raffle for Rancho San Antonio. Radi8 wheels was another new sponsor for 2017. We were glad they were able to bring out a number of custom cars to #EURO17. One of the Top 10 Award Winners. The big draw at the #EURO17 was the charity prize raffle. Bernie and our team works seemingly year round to reach out to the best aftermarket companies to contribute to our raffle. There are always amazing prizes from the top accessory companies in the business. We also reach out to local businesses, restaurants and entertainment venues. We could not host an event like #EURO17 without such amazing support. We had some many prizes this year, we had to have two separate raffles, so people didn't melt in the sun while listening to raffle #s being called. Here are some of the great companies that donated prizes to our raffle. Thank you to all of these amazing prize donors! Yoshi and Neutrale Wheels were a new event supporter in 2017. Glad they were able to display cars and wheels at the show. Gaphix design haus showed off some of their custom seat belt creations. 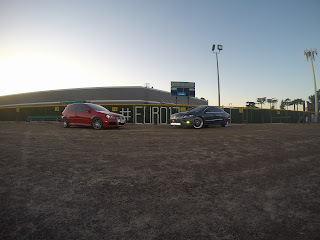 Solo Werks has been with our European Car Show since day one. Glad to have their support year after year. The team at Rolloface was back in 2017 showing off some of their style and performance products. The Last Sunday group posted up to talk about their monthly cruises. Big SoCal Euro was an exhibitor to promote their annual car show in San Diego. Bernie taking care of some last minute details before the Mega Raffle. Calling out some winning tickets. 8 of our Top 10 Award Winners at the show. Not sure what happened to the other two people, but they did receive their custom trophies from Pasttime Signs. Congratulations to: Jimmy Uria, Garrett Dotson, Mike Frechete, Jon Yost, Daniel Padilla, Joel Rubio, Sean Smith, Rodlfo Lamaestra, Rob Torrez and Adrian Carillo. Here are some of our favorite photos from #EURO17 that attendee's shared on Facebook. If you share photos from #EURO17 with us on Facebook, we will add them to the post! Shout out to this group that showed up at 6:30am to beat the crowds.